Unit testing embedded systems is a bit more involved since there is the additional constraint of the hardware itself, sometimes more than one device or even different platforms. Quitting (or not even thinking about it) is the easy answer to the problem. All of us have debugged expected behaviors with inline prints. But automating some of these tasks have a huge benefit on the code quality and development speed. This entry was posted in Tutorial and tagged arduino, arduinoci, arduinounit, aunit, deployment, embedded, esp32, esp8266, espurna, github, googletest, jenkins, platformio, raspberry pi, regression, rpn, rpnlib, travis, unit test on December 27, 2018 by Xose Pérez. I have a couple of IKEA-like boxes in my home office labeled “Inbox”. They are full of stuff I buy and store waiting for some free time to spend on them. From time to time I pick one of the boxes and take a look at its contents. They are actually full of “wow” stuff. I would buy again most of the things there but at the same time I fear I’m just collecting stuff that will become junk. I couple of week ago I rescued from one of those boxes an M5Stack Core Development Kit and some other stuff that was there for maybe 6 months. 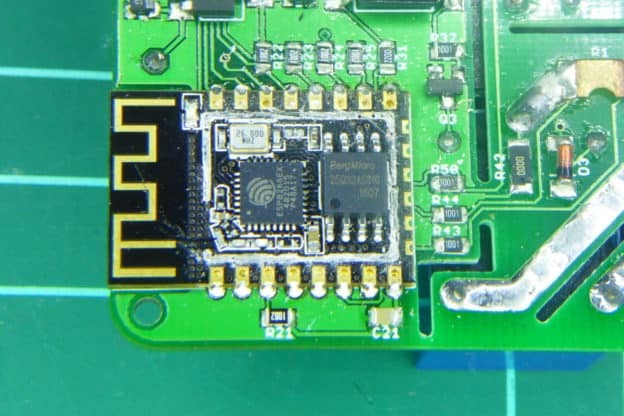 This entry was posted in Code, Projects and tagged 3d printing, ack, ailight, arduino, deep sleep, esp32, lmic, lora, lorawan, m5stack, mpu9250, rfm69, rfm69c, rfm69gw, rfm95, the things network, ttn on June 10, 2018 by Xose Pérez. 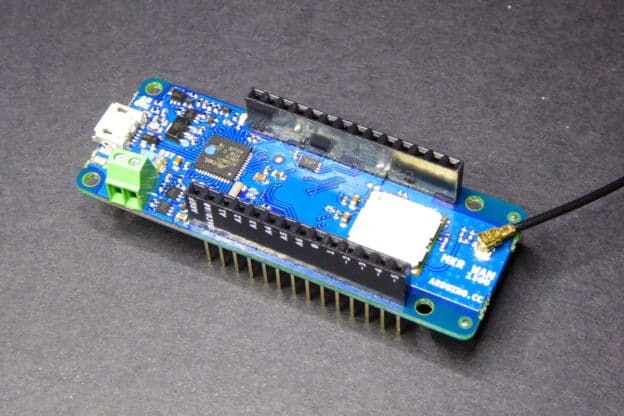 The Arduino Core for ESP8266 and ESP32 uses one SPI flash memory sector to emulate an EEPROM. When you initialize the EEPROM object (calling begin) it reads the contents of the sector into a memory buffer. Reading a writing is done over that in-memory buffer. Whenever you call commit it write the contents back to the flash sector. Due to the nature of this flash memory (NOR) a full sector erase must be done prior to write any new data. If a power failure (intended or not) happens during this process the sector data is lost. Also, writing data to a NOR memory can be done byte by byte but only to change a 1 to a 0. The only way to turn 0s to 1s is to perform a sector erase which turns all memory positions in that sector to 1. But sector erasing must be done in full sectors, thus wearing out the flash memory faster. How can we overcome these problems? This entry was posted in Code, Tutorial and tagged arduino, eeprom, esp32, esp8266, memory, memory layout, meory partitions, ota, rotation, spi flash memory on June 4, 2018 by Xose Pérez. I’ve been testing quite a few LoRaWan nodes lately for TheThingsNetwork.cat, some based on HopeRF RFM95W (over AVR, ESP8266, ESP32,…) others using Microchip’s RN2483 (an old friend of mine). I have a RAK811 waiting in the INBOX but the last one I’ve been playing with has been the new Arduino MKRWAN 1300 (so new there is no product page yet) and I liked it, quite a lot. This entry was posted in Analysis, Learning and tagged abp, arduino, lora, lorawan, mkr wan 1300, mkrwan, murata, otaa, platformio, rak811, rfm95, rn2483, samd21, stm32 on January 30, 2018 by Xose Pérez. 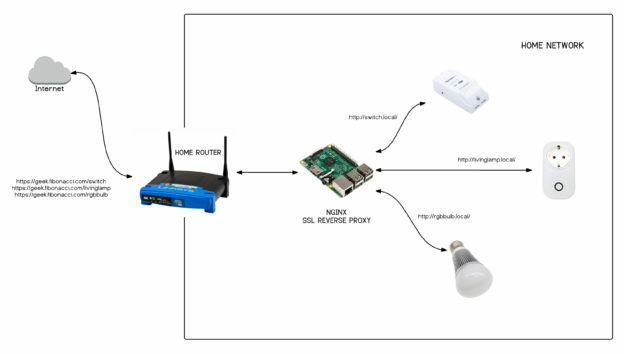 When you are hacking with IoT devices at home you get to face the challenge of accessing remotely to them, that is from outside your home network. I’m not saying your home network is a safe place, beware. But that thing outside, you know, “the Internet”, it’s so scary… Unfortunately, most IoT devices are just not ready for the jungle. Neither the commercial ones, nor the hacked ones you might have. 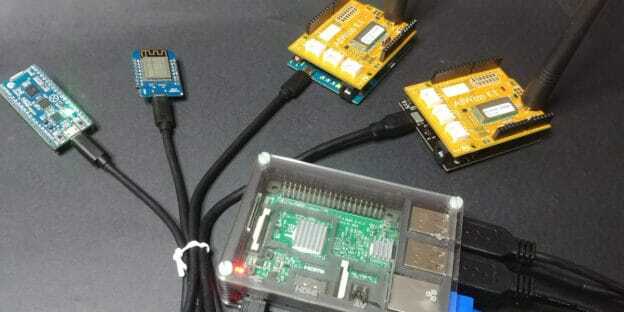 I wouldn’t dare to open a port in my router to anything inside unless it’s encrypted. So what should we do? This entry was posted in Learning, Tutorial and tagged arduino, blynk, certbot, debian, dyndns, encrypted, esp8266, grafana, influxdb, let's encrypt, MQTT, nginx, node-red, proxy, raspberry pi, reverse proxy, ssl on September 3, 2017 by Xose Pérez.